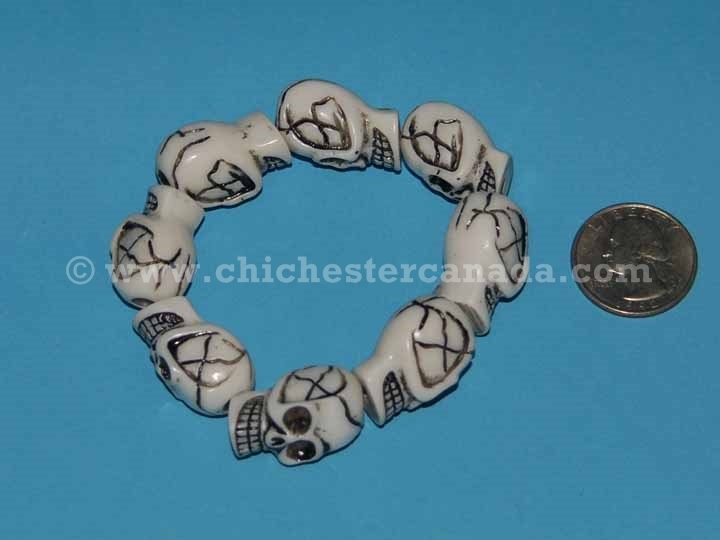 There are eight 23 by 13 mm skulls per bracelet. 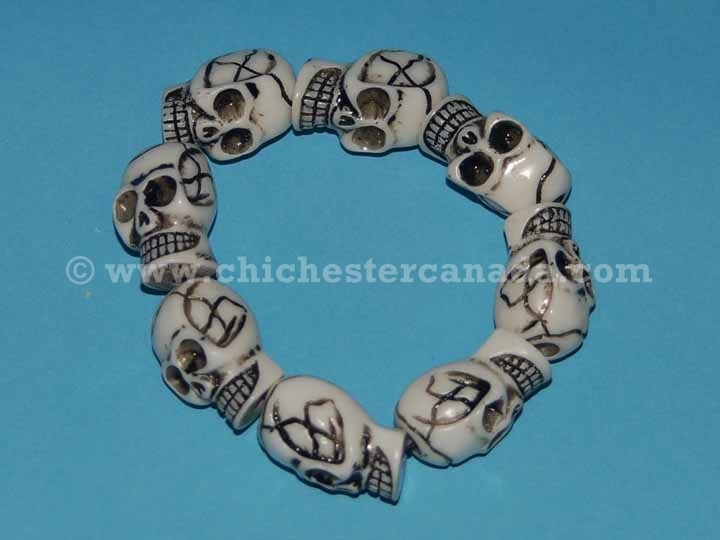 The bracelets are about 3" (7.6 cm) in diameter and weigh 38 grams or 1.3 ounces. 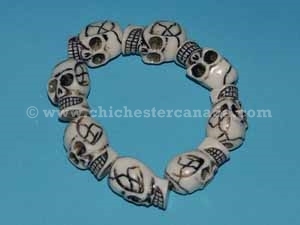 The elastic bracelets are stretchable.